This was a little bit of a surprise to see this project released. 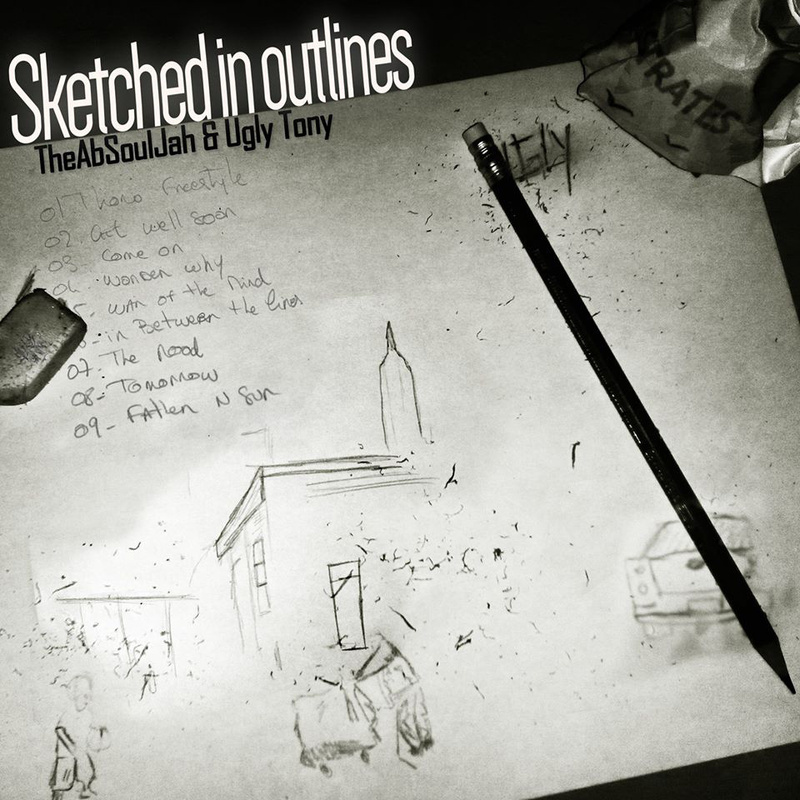 But I am always game to hear some new AbSoulJah and with Ugly Tony on the boards I knew it was going to be better than just a solid project and it is. When The AbSoulJah released Slave To The Page for free many moons ago, I knew that this artist was special. He had a great raw quality about him with all the intangibles. He has that grimy New York flow with a little bravado in his voice. His rhymes were street centric but he always comes with the elevated rhyme style. That particular aspect has not changed from Ab’s repertoire but was has changed over the years is that his music has become a little more refined. It has this polished sound. And with each release we see more and more shine on his capabilities. With that being said, I love releases like this. It’s short and sweet (relatively speaking) with nine tracks all focused around the production of one producer. If the project is too long, it becomes monotonous and boring but nine tracks is the perfect time frame for a producer and emcee to showcase their chemistry. A few of the tracks from this EP I have heard before (Get Well Soon, Father N Sun) but that doesn’t take away from the potency. Listening to this EP is actually an excellent way for a new listener to easily become acquainted with both Ab and Tony. Here are three of my favorite tracks from the project and a reason to anticipate the album, The Author Illustrates, which carries a ‘coming soon’ tag. Pay close attention to the last track here, Between The Lines. This track is a straight symphonic banger! The whole project is little more than $1 out of your pocket.